Starting life in the early 1980s as Turriff Rambling Club, members voted in 1983 to change the name to Turriff Mountaineering Club as ambitions aspired to greater things! Early days saw the club getting membership of the Scottish Youth Hostels Association and the Mountaineering Council for Scotland as well as recruiting new members. Funds for the purchase of club equipment was partially financed by jumble sales and sales of work! involved in mountaineering activities out with the club. However a recruitment drive attracted an influx of new members around 1990/1991. It was also agreed at the 1990 AGM that the name should be changed to The Turriff Hillwalking and Mountaineering Club as the former name may have put some prospective members off joining the organisation, as a perceived vision of dangling on the end of a rope may not appeal to everyone! During the following couple of decades and up till the present, the club has been very active with a current membership of 35. There is great enthusiasm for weekends away, staying in hostels and bunkhouses to climb hills on the West Coast, Sutherland, Perthshire and other locations including the Western Isles. There is normally a club weekend away every month from March through to October, and they are often used as a vehicle to do Munros, Grahams and Donalds. 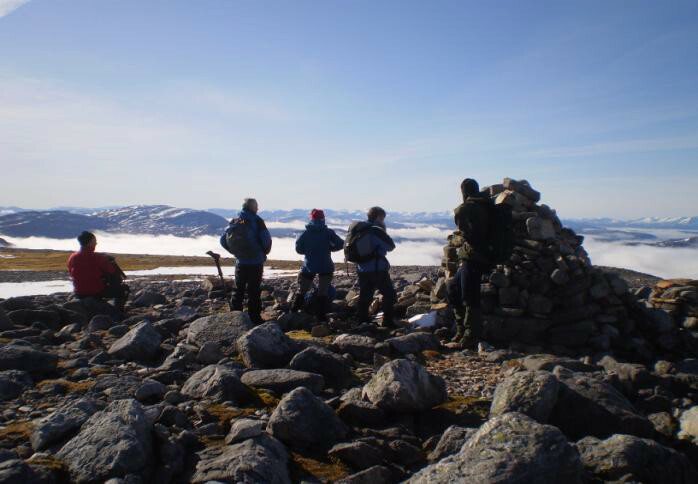 Many of the members, both past and present, have completed all 282 Munros. As well as walking in Scotland we have had club walking holidays in the Tatra Mountains in Poland and Corsica. Mid-month day walks give the opportunity for less challenging and more accessible outings for members. The club has monthly pub meetings to socialise and discuss forthcoming events. New members are always welcome and information can be obtained on the club website.